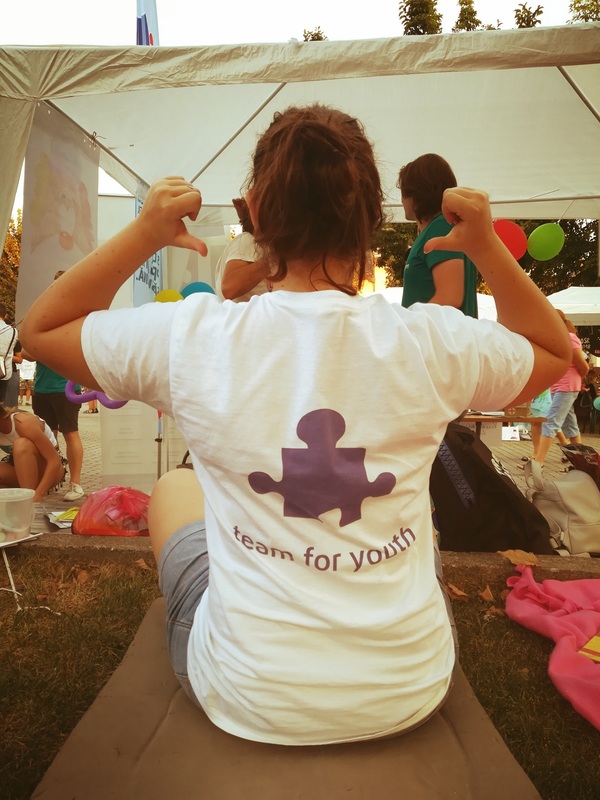 HomeThe BlogInternational VolunteeringVolunteering StoriesEVS Stories: Dear 17 years old me – by Marie B.
EVS Stories: Dear 17 years old me – by Marie B. First, don’t ever take what you have for granted. You will have some amazing moments in your life that could be followed by some really dark ones. But never forget that it will get better! Let me tell you about an amazing experience you will have, the EVS. What’s an EVS? You can search on the internet for the definition and what it implies but what I will talk about is the way I see it right now. Once you will find the courage to submit your application to this amazing project in Romania, things will go really fast. You will be excited when you will receive the positive answer, you will be afraid to think about all the things you will leave for four months (your family, your friends, your country and of course your comfort zone). You will have mixed feelings at the airport, a little bit scared, a little bit excited and a little bit guilty to leave your family. It’s normal, it’s a big deal! You don’t know anyone, the culture, the language… but you know what? It’s the biggest adventure you could live! You will find some flatmates with whom you can make some cooking contests, whom you can laugh with and share some experiences. You will find some volunteers from Italy, Turkey, Cataluña and even other French like you! (Oui!!) You will learn a lot about their creativity, their passion and their experiences in life. Of course you will share yours too. You will work with them and debate with them about the activities you will prepare. But at the end you will learn a lot. You will meet and work with local volunteers, coordinators, and you will have a mentor to guide you through all of this adventure. Don’t be afraid to tell them about your problems in your flat, or in your life. They will listen to you and always try their best to help you. You will have busy but really fulfilling weeks. One month will pass and you will not see it! What about the project? You will work with kids in hospital, orphanage and with disabled people. You will have trouble communicating but don’t worry you will figure it out somehow. They will all give you so much love and laugh that every problem you could have would not be as important as it seems. You will also be a teacher yourself! Yes, you read well, you will teach French to Romanian youngsters. Okay before letting you go to whatever you were doing before, I have another advice for you: ”Trust yourself”. Sometimes you have to take risks, and to trust yourself with what you want to do, even if people tell you it’s crazy. Because you are the only one who know what you really have inside and what you are able to do. Marie is French and she takes part in the “SEV 4×4” project which is an European Voluntary Service financed by the European Commission through Erasmus Plus program.